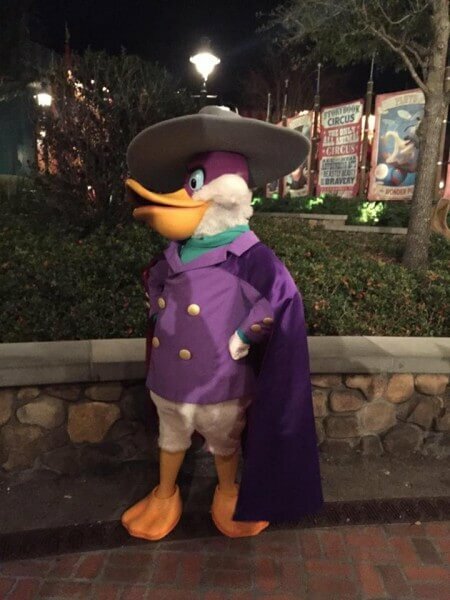 Disney afternoon fans were pleasantly surprised to get a visit from Darkwing Duck and Launchpad during the Disney Vacation Club 25th anniversary party at Magic Kingdom. 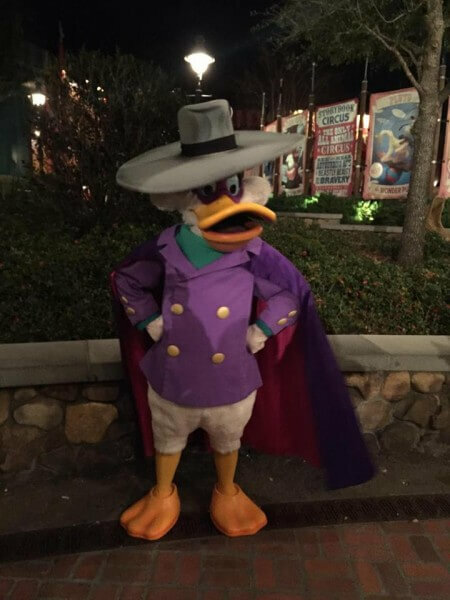 Let’s get dangerous! 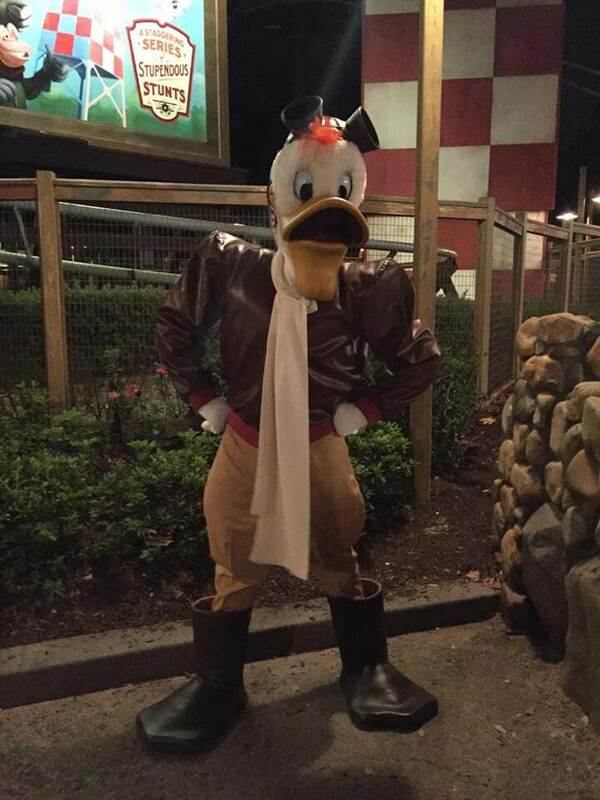 Launchpad was at the AKL back in Feb one day when it was raining a cold out, he along with Captain Hook, Mickey, Minnie, Donald, Goofy and a few of the Country Bears were in the lobby.